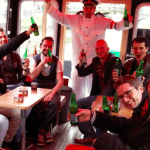 This is a hilarious pub crawl through the Amsterdam Red Light District! Your Stag will be handcuffed to a Minion and you guys will be guided through the Red Light District and pass by many bars. 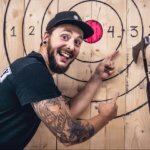 You will get free shots along the way! The minion will be the Stag’s best friend for 3 hours in Amsterdam. The stag can already practice for his future life as a husband, because if you ever marry a woman you won't get off that easy... He has to do everything with the minion, ordering drinks, dance and when he flirts with a hot girl the minion will be at his side. You will meet the Minion at a bar in the city centre of Amsterdam. Here is where she will handcuff herself to the Stag. 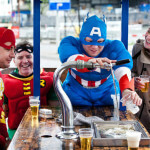 This Pub Crawl is a hilarious option for your Bachelor Party or Stag Do in Amsterdam! 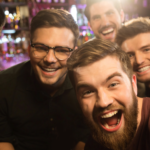 Feel free to contact us when you have any questions or get a quote when you are interested in having a Minion Pub Crawl on your Stag Party In Amsterdam.